A regal landmark against the Cancun skyline, the Riu Cancun captures the radiance of the bright Mexican sun and the natural beauty of the Caribbean Sea. Ideal for active travelers, families and spa enthusiasts, the Riu Cancun provides oceanfront facilities and a great location nearby the dining, entertainment and nightlife of Cancun’s Hotel Zone. Surrounded by manicured gardens and sparkling pools, guests enjoy unforgettable dining, nightly entertainment, a night club, fun-filled activities and familyfriendly amenities including a kid’s pool, a kid’s activities club and a playground. 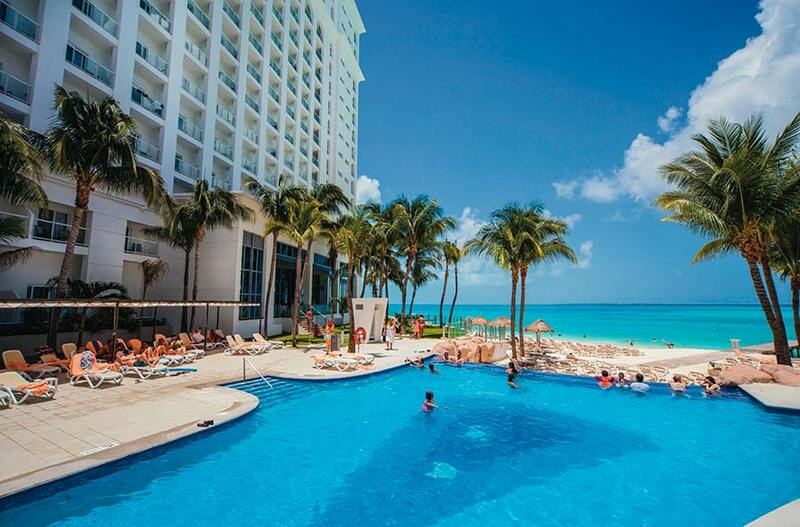 Where the sun and sand of Cancun, Mexico create the perfect setting for relaxation and fun, the Riu Cancun helps create vacation memories to last a lifetime. All-inclusive rates are based on standard rooms, upgrades are available for an additional cost. occupancy. After this date the deposit due is $100 per person ($200 FOR SINGLE). After the initial deposit is paid the suggested payment plan is as follows: $100 per person due by OCTOBER 19, 2018; $100 per person due by DECEMBER 14, 2018; $200 per person due by FEBRUARY 15, 2019; with the final payment due on or prior to APRIL 14, 2019. Note: full payment can be made anytime prior to final due date and a payment plan that works for you may be arranged. *If adding air, the required deposit is $200 per person, however, this depends on the airlines. To protect your vacation investment you may purchase cancel for any reason trip insurance which starts @ $99.99 for hotel and transfers; and $139.99 for air, transfers, and hotel. info@whots.org or fax: (323) 375-1337.